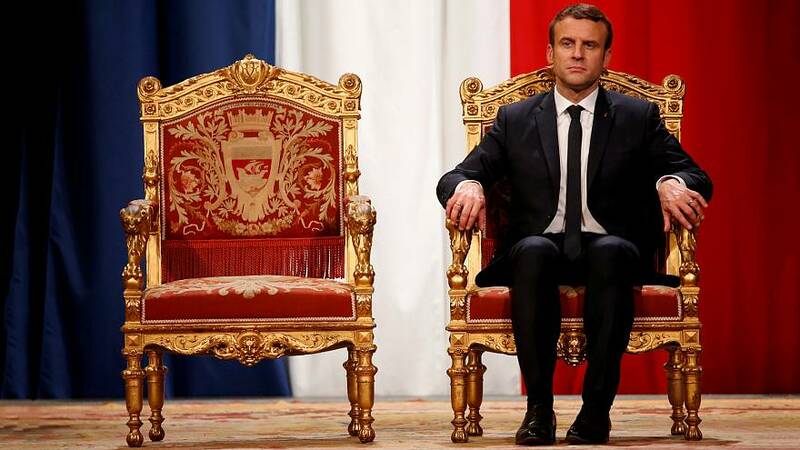 The honeymoon looks to be over for Emmanuel Macron. A survey marking 100 days since his emphatic election win in May indicates that the French are already losing faith in their new leader. Just 36 percent said they were satisfied with his actions, with 64 percent dissatisfied in the Ifop poll for France’s ‘Le Figaro’ newspaper. They are worse figures than his predecessor Francois Hollande had after the same time in office, in 2012. Socialist Hollande had a 46 percent satisfation rating at this point – and he ended up being France’s most unpopular president ever! Yet on the world stage, centrist Macron has made a distinguished start. “From the beginning, he had a very ‘can-do’ attitude, in his own way both conciliatory and respectful,” said political analyst Stéphane Rozès. Macron, 39, France’s youngest leader since Napoleon, was elected on a promise to usher in sweeping economic and social reforms to haul the country out of its economic malaise. And it is on the domestic front that Macron and his year-old LREM party have faced most criticism. A reduction in housing aid, controversy over the timing of promised tax breaks for tenants, and allegations of financial scandal against members of his government that led to some early ministerial resignations have tainted his first months in the Elysee. “We are told things and then they are contradicted and I think the new MPs are not fully ready but it is not their fault,” said senior citizen and Paris resident France Richard. “For now, we are waiting to see what comes next,” said Francois, another Paris resident who works in the construction industry. The resignation of Macron’s armed forces chief after a row between the two men over defence budget cuts was another early blow, and the standoff was seen by Macron’s critics as evidence of an over-controlling nature.